Get Experienced Representation From A Top Motorcycle Accident Attorney in Maryland And Virginia! 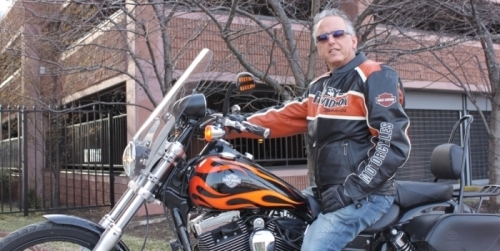 Meet Mark A. Epstein, the lawyer who is called “The Lawyer Born to Ride” by Born to Ride Magazine. Call Mark Epstein 24/7. You Won’t Have To Pay Anything Until You Win! I, Mark A. Epstein, Attorney at Law, have represented countless injured motorcyclists throughout Maryland, Vrignia and other states. My dedication has earned me a reputation for providing high-quality legal representation to my clients. When it comes to client-focused services, my firm is unparalleled. Not only do I offer my clients payment plan options, I also give my clients my cell phone number so they can call me, 24/7 day or night. As someone who regularly appears before all Maryland courts, I am not afraid of taking a case to court if it will benefit my client. Dealing with an injury and the ensuing aftermath is stressful enough. This is why I strive to make the recovery process as easy and as stress-free as possible for my clients by personally handling their injury claim from start to finish and dealing with the insurance companies. This is the kind of dedication you can expect from me as your legal representative. Every single driver on the road not only has the responsibility to drive safely, but to also remain alert at all times for vehicles in their blind spots, especially nearby motorcycles. No matter the cause of your motorcycle accident, you may be able to hold the negligent driver responsible for your injuries by filing a claim. What does negligence have to do with my accident? In all vehicle accidents, the victim must prove that the other party displayed negligence, or carelessness, in order to held liable for their injuries. Proving negligence shows that someone else caused your accident and ensuing injuries. I wasn’t wearing a helmet during the accident. Can I recover compensation? The state of Maryland enforces a strict law which requires motorcycle drivers of any age to wear a helmet at all times while on their bike. Because of this, it can be difficult to obtain compensation for your injuries and you may be found negligent. However, you should still contact a lawyer to discuss your case and determine what can be done. What kind of damages can I recover? This is based on the severity of your accident and the extent of your injuries. You may be eligible to recover compensation for medical bills, mental and emotional suffering, motorcycle repairs, and lost wages. How long do I have to file a lawsuit over my accident? In Maryland, all personal injury and property damage lawsuits must be filed within three years of the accident. It is important to prepare your lawsuit well in advance to ensure that you do not miss the strict deadline. Why do I need an attorney for my case? Insurance companies can be pushy and often try to force victims to agree to the lowest possible settlement. If you don’t have any experience dealing with insurance adjusters, you may assume that the first offer is the best offer. This is not the case! I can defend and protect your rights, fighting for the financial compensation that is rightfully yours. Is it important to have uninsured motorist coverage? Yes! It is surprising the number of individuals who are driving around with no insurance and this can have a detrimental effect on you should an accident occur. These drivers do not have the insurance to cover your injuries, so having uninsured motorist coverage protects you and your wallet. For the legal guidance you need for your motorcycle accident case, please do not hesitate to contact me as soon as possible to get counsel from an experienced Baltimore motorcycle accident lawyer. I can review the details of your case during a free initial consultation so that I can gain a better understanding of your needs.